The hospitality industry employs more than 15 million people in the United States alone, so the health of the hotel sector is of huge importance for the wider economy. Even a relatively small downturn in the industry can result in thousands of lost jobs. So what are the most pressing threats to the hotel sector? And what can hoteliers do to protect their investments? 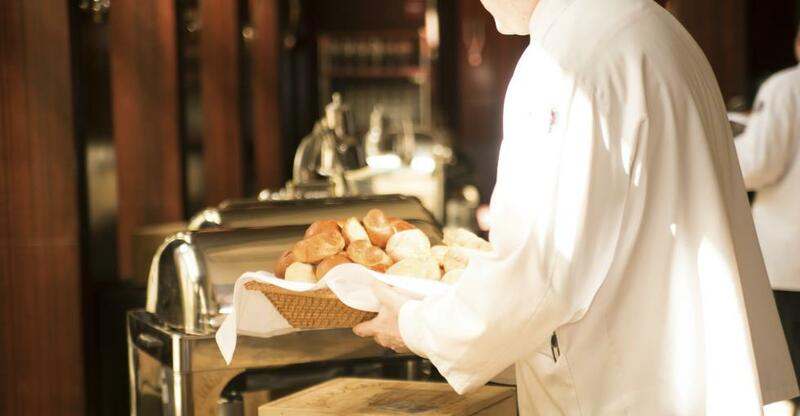 More than many industries, hospitality is greatly affected by economic downturns. This is because essentially – when you get right down to it – most paid-for accommodation is nonessential. Vacations are a luxury spend and even in the business world, video conferencing has made face-to-face meetings less necessary. So when the economy struggles, hotels are among the very first casualties of the ensuing belt-tightening among businesses and consumers. This was dramatically illustrated during the nadir of the Great Recession in 2009 and 2010 when hotels’ average daily rate fell 18.5%, while net operating income for all hotels plummeted 37.4%. The luxury sector fared the worst, with a 23.6% fall in revenue per available room and a 37% drop in gross operating profit. While the American economy is currently flying high, one thing the last recession – and indeed other economic fluctuations – taught us, is that no one can be sure what the future will bring economically. So the threat of an economic downturn must remain on a savvy hotelier’s radar. What can hotels do to protect themselves? Beyond maintaining a significant emergency fund of liquid capital to offset unexpected and extended losses, hoteliers can also prioritize effective marketing and resist pulling the plug on successful campaigns at the first hint of trouble. A study published by the Cornell University School of Hotel Administration in 2015 examined the hotels that were most successful in riding out the recession and its long, slow recovery. Their conclusion? “Winners were found to spend significantly more on marketing than losers. The relationship between marketing expenditures and performance is significantly positive, with franchise expenses and other sales expenses emerging as the most important determinants […] these results highlight the importance of personal sales efforts, including promotions, familiarization trips, trade shows, and the training of sales personnel, personal sales visits to clients, and use of outside sales representatives to help hotels thrive in a recession. The tourism industry generally and hotels specifically are hugely vulnerable to events beyond their control like extreme weather events, political unrest, terror attacks and other events that deter tourists. These negative impacts can last just days – for example violent protests in a particular city in an otherwise politically stable country like the US – or for months or years on end, with tourist sectors in Tunisia, Egypt and Turkey decimated by political unrest and terror attacks. This is a difficult question to answer since the average hotel owner exerts no influence over political developments and the public’s reaction to unrest is highly unpredictable. However, maintaining a reserve fund of liquid capital at least offers some insurance against adverse political conditions. In most cases, the situation is brief, localized and quickly resolved, resulting in just a few days or weeks of poor business. Hoteliers with sufficient capital to expand could also spread their risk by diversifying across a wider geographic area. So if inclement weather dampens profits at your hotels in one state, then your properties in another state could help offset your losses. With the Great Recession behind us and US hotels invariably operating in a benign political environment with usually clement weather, our third and final threat is one that strikes the most fear into the hearts of hoteliers: industry disruptors. More specifically, we’re talking about Airbnb and its copycats. Allowing homeowners all over the world to turn their guest bedrooms, apartments or entire homes into holiday accommodation, Airbnb has sent shockwaves around the hotel industry. The peer-to-peer platform offers a diverse array of accommodation, often with catering facilities and a homely feel. And since these properties are not officially hotels, they’re not subject to the same hospitality taxes and legal requirements like fire safety regulations, making it difficult for hotels to compete on price. And “Airbnb offers a much wider range of products and services than hotels,” since users can rent anything from a luxury high-rise apartment in Manhattan to a houseboat on the Mississippi. The study estimates that Airbnb’s entry into the Austin, Texas market – where Airbnb has the greatest concentration of listed properties – has put a dent in hotel revenues to the tune of 8-10% of annual revenues. Channelled through their representative trade associations, hotels in some cities have lobbied successfully for outright bans on the services provided by Airbnb and similar platforms. Generally speaking, however, surviving and thriving amid disruptive new technologies is all about embracing change and recognizing what it says about consumer preferences. Airbnb is popular and it’s important to recognize why. How are these peer-to-peer platforms wooing your customers away and how can you woo them back? The fortunes of the hotel industry will always ebb and flow depending on these and countless other factors. But individual hotels can flourish, through good and bad times, if they keep abreast of challenges on the horizon, and are prepared to adapt their business model as required by economic conditions and the changing tastes of both tourists and business travellers.